It seems like we have had some trouble with the online form for signing up to get more information for the men’s ministry that is kicking off on April 28th from 9 – 10 AM at Sanctuary Coffee in Claremont. I am so sorry. If you signed up to be part of that morning to hear everything planned and to give your thoughts about the men’s ministry at Purpose Claremont and didn’t hear back form Mike, I’m so sorry. The form has been fixed. Again, I’m so sorry that it wasn’t working. 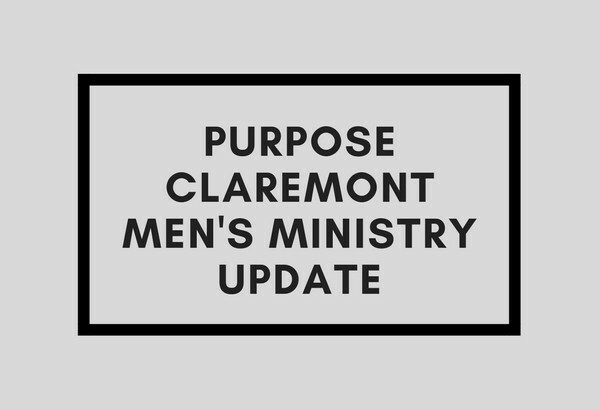 If you have any specific questions you can now email Mike at claremontmen@purposechurch.com.